Much like its predecessor, the Royal Scot, the Patriot Class was built for the London Midland and Scottish Railway to undertake express passenger duties. It was designed by Sir Henry Fowler, and put simply, it was a combination of the newer Royal Scot’s chassis with the boiler and driving wheels coming from the older Large Claughton locomotives. The Class of 52 Patriots were built between 1930 and 1934. Then, following in the footsteps of the Royal Scots, select Patriot locomotives were rebuilt by the LMS, and later British Railways, to follow the more modern design of Sir William Stanier featuring the type 2A boiler, a new cab and tender. This rebuild gave locomotives a new lease of life, as they could take advantage of the latest improvements, and also be standardised in order to reduce maintenance costs. 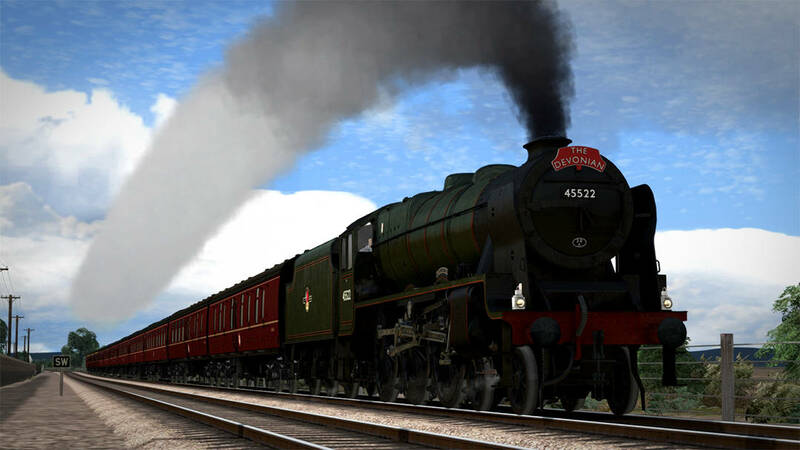 Despite a career spanning decades, no rebuilt or original Patriots survived into preservation – their legacy only living on in memory and historic photographs – until now; Bossman Games’ Rebuilt Patriot shall soon join the line-up of faithfully recreated Stanier-designed workhorses, and bring more classic steam to virtual life, when it arrives in the Steam and Dovetail Games stores.